Home MTAANI NEWS Fears of donkey meat sale as four carcasses are found in Makongeni. Fears of donkey meat sale as four carcasses are found in Makongeni. Four donkeys believed to have been stolen were on Wednesday morning found slaughtered in Makongeni’s Phase IV, Thika West Sub-County. 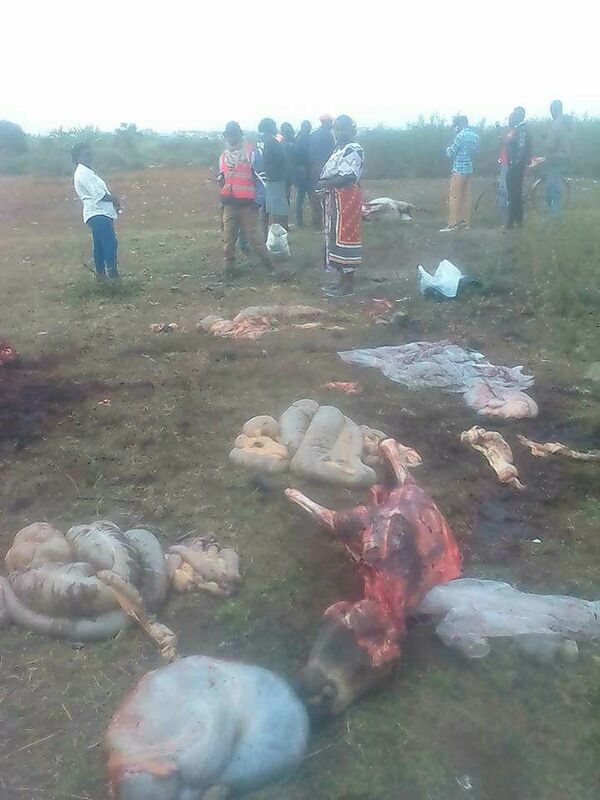 Apprehension gripped residents of Ngamia area behind Applonaious School after the bizarre discovery, fearing that local butcheries have been serving them with donkey meat. In what is believed to be a racket to sell off the meat to unsuspecting people, the residents lamented that was not the first time donkeys were slaughtered with one resident pointing out that their numbers had dropped sharply in the recent years due to theft. He added that the spot where they were discovered was a good spot for discreet activities since it was tucked away from the main road and foot traffic across it is minimal. “Lately, there are many Mitura samosas and minced meat eateries which I suspect could be using donkey meat,” he said. According to a local administrator, criminals have shifted their interest from cattle to donkeys, which they kill and skin. They are also said to take their livers. He confirmed that no arrest has been made yet but police were investigating the incident. He also called on public health officers in Thika to conduct raids in butcheries to enquire where these butchers got their meat from and crack down on suspected traders. “We are asking the public health officers to take action against those behind this illegal trade, which is on the increase,” said the administrator who did not want to be named.